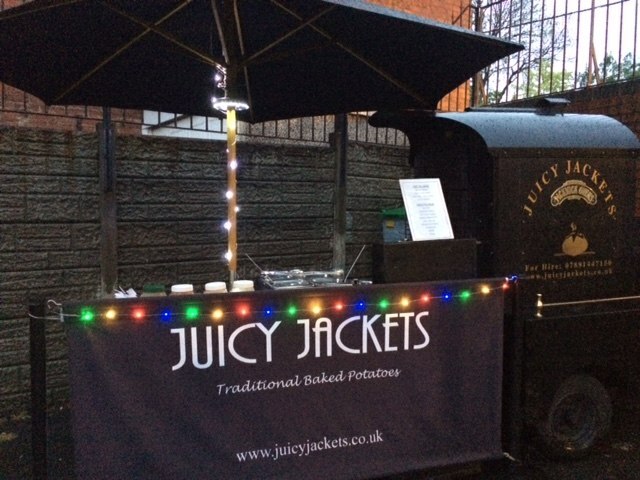 As the UKs premier traditional baked potato catering specialists, here at Juicy Jackets we're proud to have become one of the most sought after quirky catering concepts around. 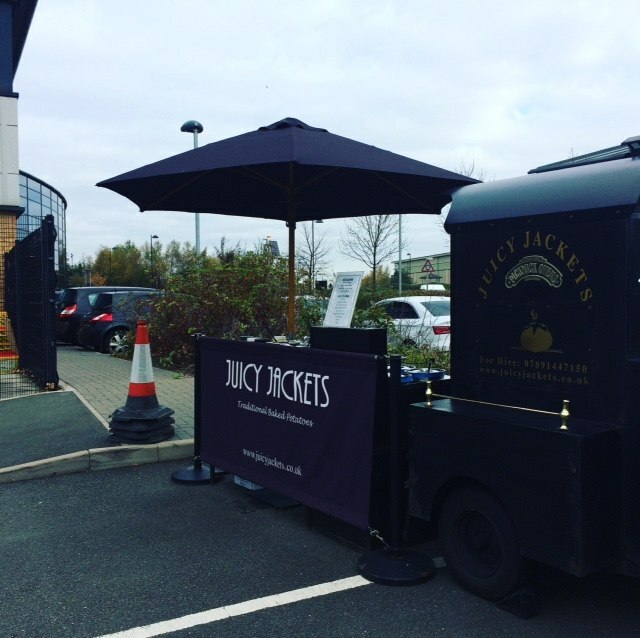 With an emphasis on quality freshly cooked food, we can bring almost 10 years catering experience to your corporate event, wedding or party. 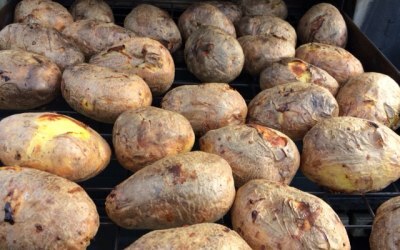 Everyone loves baked potatoes - particularly when they are cooked the traditional way. 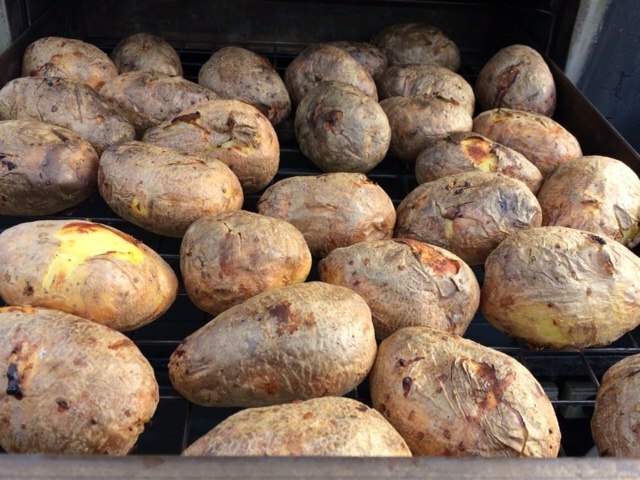 All of our potatoes are cooked fresh at your venue naturally in their skins and served straight from our charming and authentic Victorian style Pickwick oven. A huge choice of hot and cold fillings ensures something for all tastes, meat eaters and vegetarians alike. 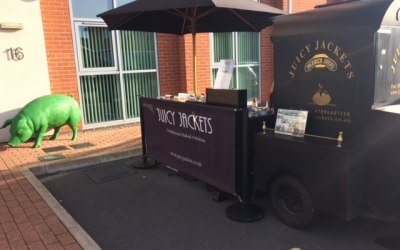 Our ultimate catering combo is unique to our company and is Juicy Jackets and our free range hog roast company Juicy Hog brought together to create one stunning food station. 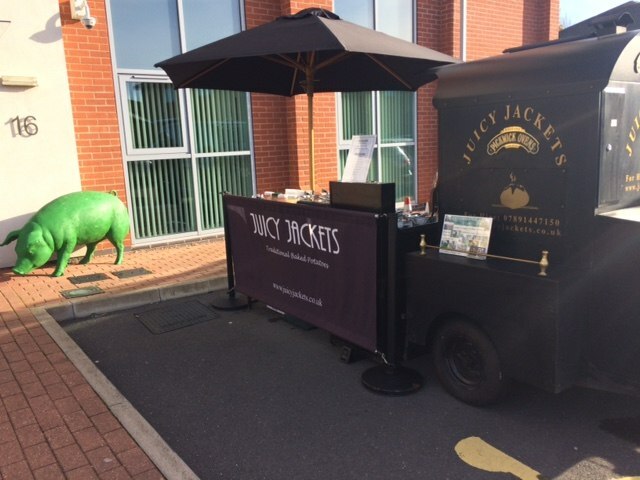 Perfect for meat eaters and vegetarians, the combo package creates a real buzz and is informal outside catering at it's best. Contact us now for your quote. 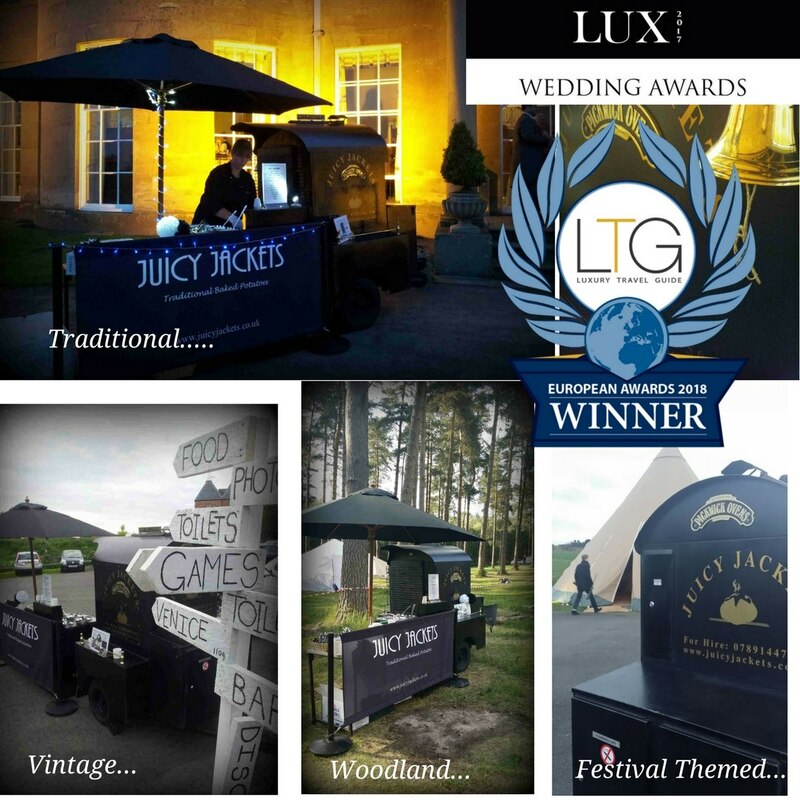 Our catering services are split predominantly between weddings and corporate. 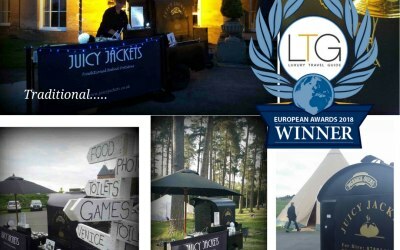 We have a large portfolio of corporate and business clients who use us as part of their ongoing marketing, launches and networking campaigns as well as staff events and parties. If you are looking to impress then we never let down hence the reason our clients use us again and again. 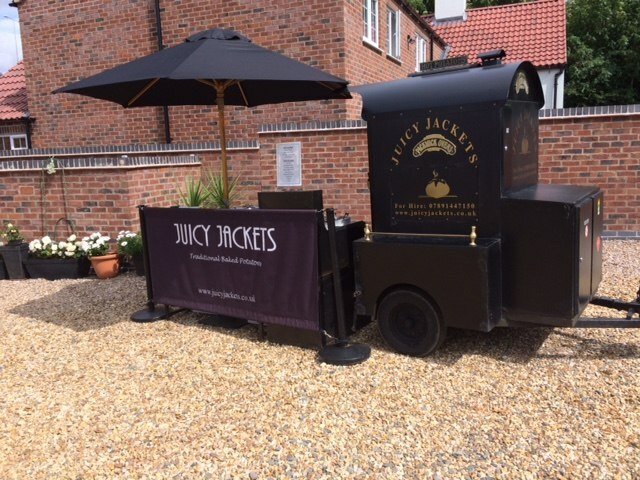 Current corporate clients who regularly use our services are Mercedes, BMW, Amazon, NHS, Wimpey Homes, AT&T, Marriott Hotels, Radisson Hotels, Kuehne & Nagel, Joules, Sainsburys and many more. 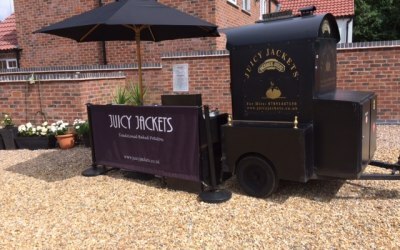 Juicy Jackets cater at between 30-40 weddings annually and are aimed predominantly at those who are looking for something unique and stylish for their big day. 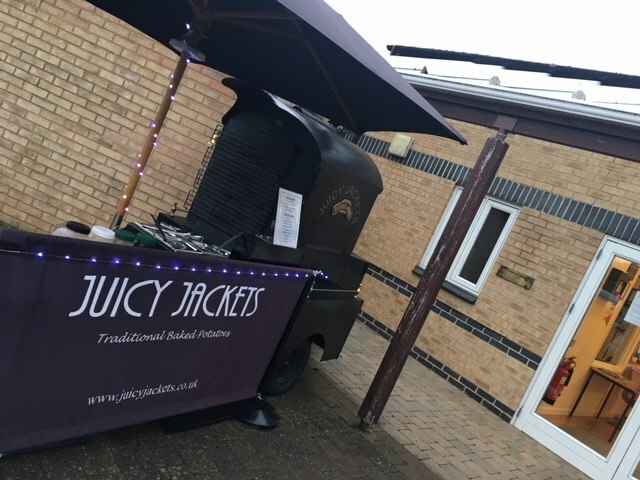 With an emphasis on a relaxed and laid back outside catering option, Juicy Jackets have a wealth of experience in this field with hundreds of weddings under our belt - with a focus on festival themed weddings. 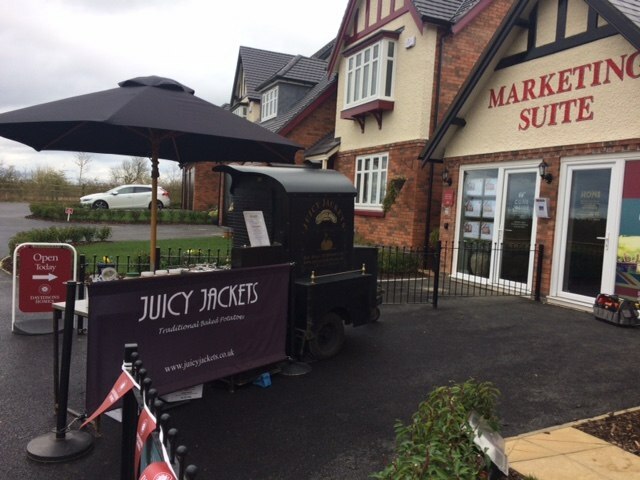 Proof of our popularity can be seen on our website where there are lots of images of recent events. Working with Scott and Sam was a pleasure. 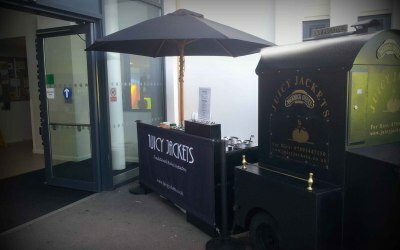 They were professional and served up some tasty treats. The whole set up was easy and communication was also on point. Would recommend and definitely use again. Thanks for making our corporate event a success! Lovely potatoes and lovely service! So efficiently set up and 'no trouble at all'. I would highly recommend them, Scott was a delight and very professional. Everyone complimented the food! Fluffy on the inside and crispy on the outside! Scott arrived promptly and started to set up, the smell of the jackets getting prepared and cooked was lovely. Everyone enjoyed the potatoes and complimented the toppings also! Thank you. 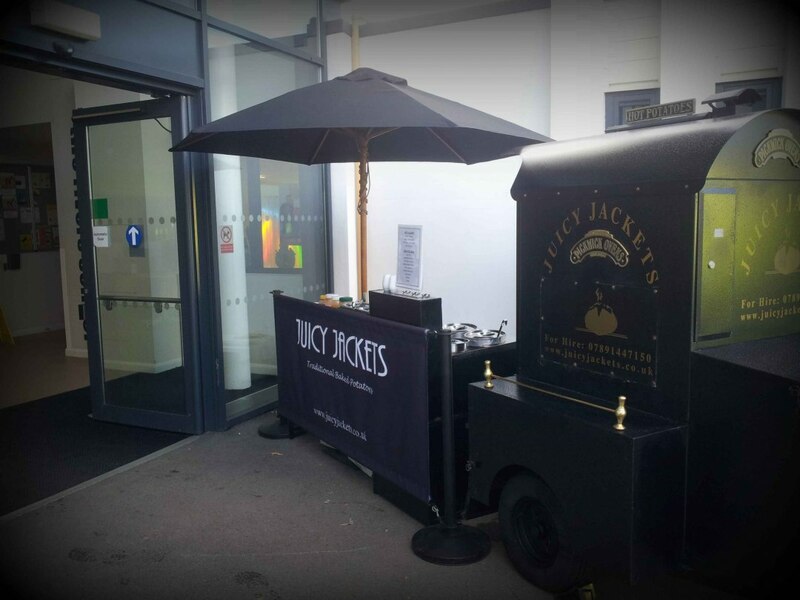 Juicy Jackets stepped in to cater our wedding at the last minute as we had lost another caterer. 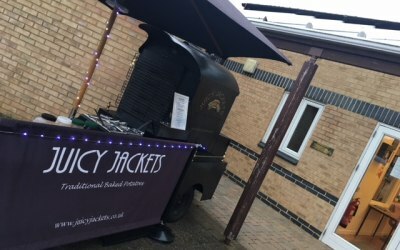 They worked tirelessly in the pouring rain and their food was incredible. I cannot fault them; they are absolutely fantastic! 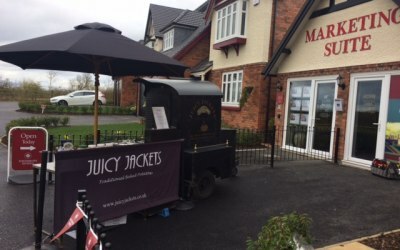 Fantastic service, friendly and professional. Food was lovely. I had lots of friends saying how nice the food was. Would book again. 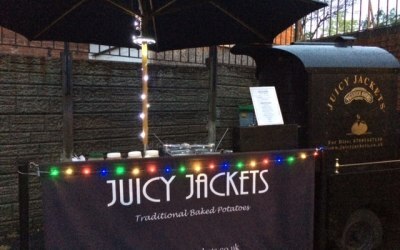 Really good jacket potatoes with a variety of toppings. Excellent communication and good value for money. Would use again! 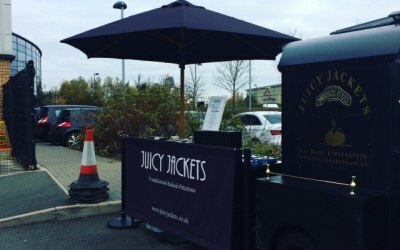 Get quotes from Juicy Jackets and Juicy Hog and others within hours.